The next Scientific Liaison Coalition (SLC) webinar titled “Maternal Morbidity and Mortality: A Primer on the Problem and What We Can Do About It” will explore the problem of maternal mortality globally, the risk factors contributing to maternal morbidity and mortality, and what can be done to reduce maternal mortality both in industrialized and in developing nations. The webinar will take place Tuesday, February 5, 2019, 11:00 am–12:30 pm ET and will feature presenters Suzan Carmichael, PhD, Professor of Pediatrics at Stanford School of Medicine, and Emma Roberts, MPH, Maternal Fetal Medicine Clinic, Hartford Hospital and will be moderated by Mary Alice Smith, PhD, SLC Past Chair. 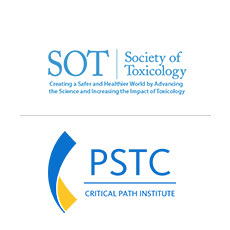 This webinar is open only to members of SLC partner organizations, including Predictive Safety Testing Consortium (PSTC). There is no charge to participate but registration is required. Abstract: Despite the US spending more money per capita on maternity care than any other country in the world, maternal mortality and severe maternal morbidity have increased substantially in recent decades. Furthermore, racial-ethnic disparities are strong for these outcomes; they are two to four times higher among black women than non-Hispanic white women. Maternal mortality is the death of a woman due to pregnancy or post-delivery complications; severe maternal morbidity encompasses a variety of conditions and procedures that identify women at highest risk of maternal mortality. Ms. Roberts will further define these outcomes and explain how they are assessed, and she will describe their prevalence, recent trends, common causes, and disparities. Dr. Carmichael will then discuss what are the potential causes of these outcomes, including their increasing prevalence and disparities. She will discuss a range of factors, including maternal sociodemographic characteristics, co-morbidities, and care. She will close with a discussion of efforts that are being made to prevent these unfortunate outcomes, including research endeavors, legislative efforts, and innovative approaches to care. For more information about the SLC, please visit the SLC website or contact SLC Headquarters, Heather Carskaddan, 703-438-3103 ext. 1606 or [email protected].